In one of the fields at Cecil Payne Sports Stadium, you will find a sport that is growing in popularity in South Africa. Baseball, typically an American sport can be found here. 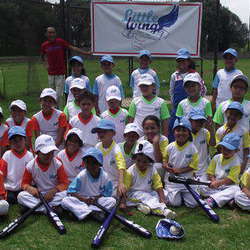 Dragon Wings Sports Club practices at the stadium on Tuesdays and Thursdays with three teams under their umbrella. 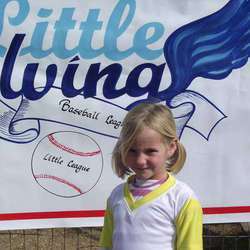 There is the U/9 team known as Little Wings, Cobras baseball which has U/12, U/15, U/18, their senior team and masters for those 35 years old and over and the Dragon Wings softball team. The teams have more than 30 coaching staff and managers that take care of almost 100 players in the different teams. Little Wings currently has two teams with 24 players. With the loss of players last year, the Cobras teams are currently rebuilding, at the moment the U/12, U/15, U/18 teams have 15 players each, this also ensures that all players get enough game time. The seniors have two teams of 30 players and some play in the masters team. 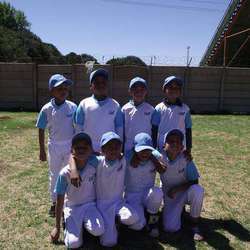 The club was founded by Rieggs Wings and Aziz Hendricks to be an organisation that develops and coordinates sports for all in the area on a community based platform. It is a lovely sport with opportunities for those who are passionate about it. It is an alternative to cricket, rugby and soccer and our goal is to get children off the streets who might be involved in dangerous activities. The sport is growing in Gauteng and South Africa and being part of the Gauteng Baseball Federation’s development programme has allowed me to visit schools in the province to introduce the sport. Some of our players have already represented the province numerous times.